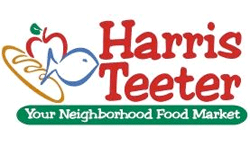 Home > Harris Teeter > Harris Teeter Ad 7/31-8/6 | Free Pasta & Cheap Cosmetics! Harris Teeter Ad 7/31-8/6 | Free Pasta & Cheap Cosmetics! Here’s all the deals running this week for the Harris Teeter Ad that starts on 7/31. This list has some great deals on products like Lean Cuisine, Skippy Peanut Butter, and Triscuits! My favorite though is the CoverGirl sale, most products appear to be $2 off (this is an unadvertised sale) and with the current coupons it makes for very cheap items. Time to stock up! If you find any extra deals, please leave a comment below.